In most environments you are not allowed to have direct access to the Linux server. The most common way to gain access is through a secure shell connection or SSH. The most common tool that is used on a Windows environment to connect to Linux is a utility software call Putty. 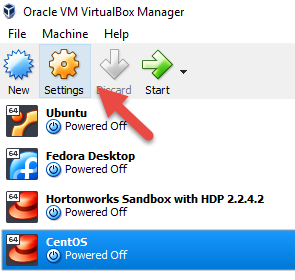 In this post we are going to connect to our CentOS instance that we've installed on VirtualBox. First let's setup our CentOS on VirtualBox for client connection. 2. 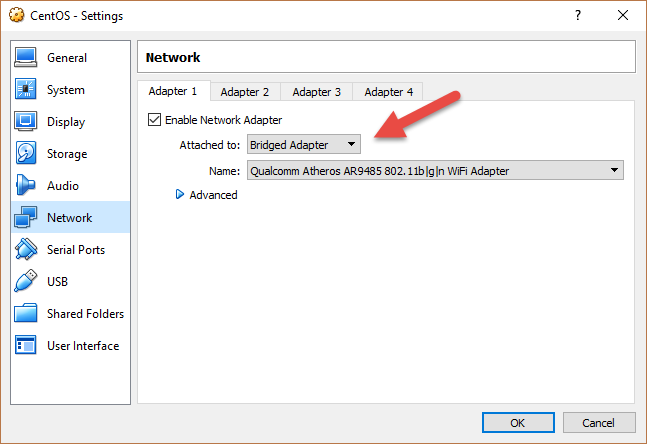 Now choose "Network", make sure "Enable Network Adapter" is checked, then select "Bridged Adapter". 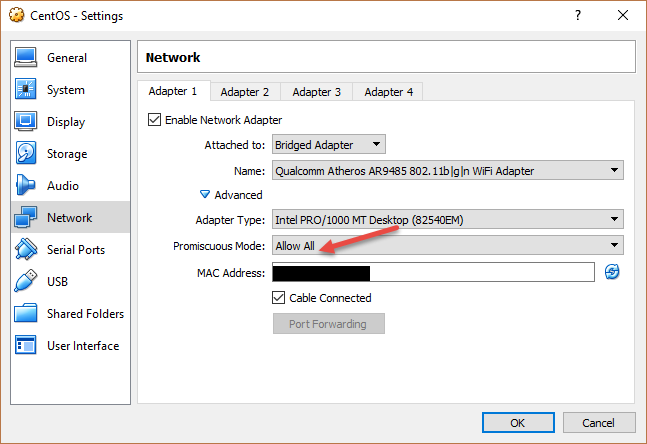 The bridge adapter option allows your virtual machine to use the host's network adapter as if its own network adapter. 5. 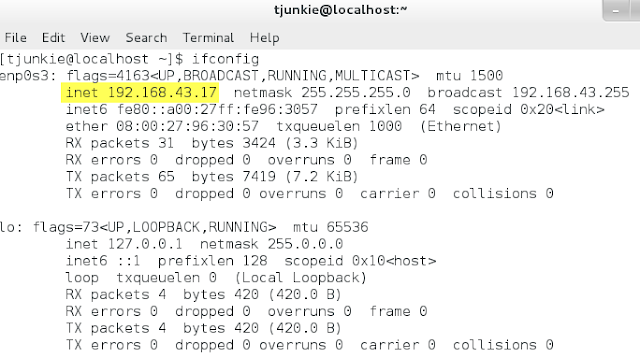 Now launch Putty and put the IP address in the Host Name (or IP Address) field, then click "Open"
That's it, now you are connected to your Linux instance that is hosted on VirtualBox using SSH.